We spend one third of our lives asleep, yet doctors and scientists still have no complete understanding as to why. It is one of the great scientific mysteries. 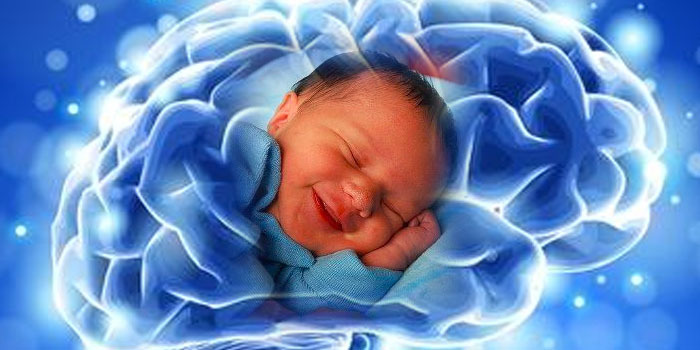 Sleep researcher and UC Berkeley Professor, Matthew Walker, will describe new discoveries suggesting that sleep is a highly active process, essential for improving brain functions including learning, memory, creativity, and emotional regulation. Wonderfest works every day to promote the scientific outlook. For as little as $1/month, why not become a Wonderfest Patron? As the Medici family were patrons of popular art in old Italy, you can become a patron of popular science and rationality in the modern Bay Area. http://patreon.com/wonderfest (And you’ll get that tax-deduction that the Medici never did!) Please become a regular supporter of Wonderfest, and help enlarge the concept of scientific community. This Christmas, shop on Amazon Smile. It doesn’t cost you a dime extra, a small percent will go to support Wonderfest and science! http://amazon.wonderfest.org. 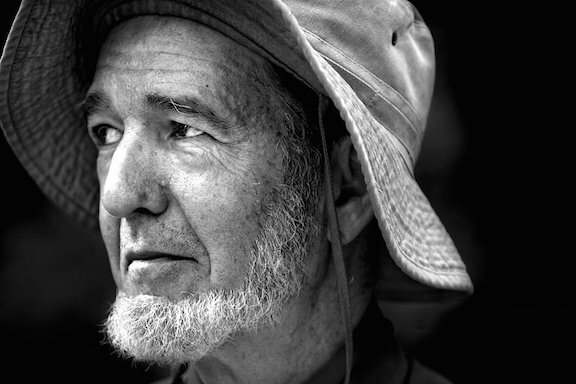 Jared Diamond, UCLA Professor of Geography, is a scientist known for drawing from a variety of fields: from anthropology to evolutionary biology. He has published several very popular science books, including Pulitzer Prize-winning Guns, Germs and Steel and, most recently, The World Until Yesterday. Diamond’s conclusions are critical and provocative, exploring concepts such as how humans evolved to be so different from other animals (despite sharing over 98 percent of our DNA with chimpanzees), and why Eurasian peoples conquered Native Americans and Africans instead of vice versa. Diamond yet again challenges the way we think in “The World Until Yesterday” as he chronicles tribal peoples and what they can teach us about the shortcomings of modern society. Join Wonderfest and the Commonwealth Club for an hour of intellectual stimulation with one of the world’s most celebrated polymaths. HOW: Presented in collaboration with the Commonwealth Club San Francisco. Near the bottom of the ticketing page, click on the orange ‘Enter promotional code’ option (near the green “Order Now” button), type in wonderfest, and click ‘Apply.’ Three discounted ticket types will appear created especially for the Wonderfest community. Enter your ticket needs, and proceed with the purchase process. “Not too hot, not too cold” reads the prescription for a world that’s just right for life as we know it. Finding evidence of life beyond Earth is one of the primary goals of science agencies in the United States and abroad. The goal looms closer as a result of discoveries made by NASA’s Kepler Mission. Launched in March 2009, Kepler is exploring the diversity of planets and planetary systems orbiting other stars in the galaxy. Finding inhabited environments is a path of exploration that stretches decades into the future. It begins by determining if Goldilocks planets abound. 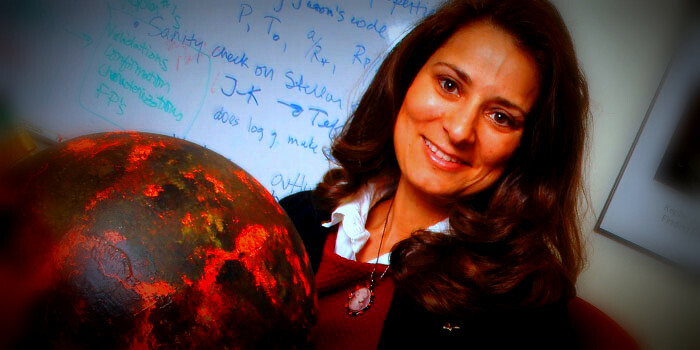 Dr. Batalha will describe the latest discoveries of NASA’s Kepler Mission and the possibilities for finding inhabited environments in the not-so-distant future. HOW: Produced in collaboration with Ask a Scientist and Chabot Space & Science Center. ADMISSION: Purchase tickets through Chabot: <https://14884.blackbaudhosting.com/14884/page.aspx?pid=196&tab=2&txobjid=ac932ff8-80f1-4d88-b1b3-11be1a248c0f>. But please also register with Wonderfest: <http://www.eventbrite.com/e/a-planet-for-goldilocks-tickets-12860274427>. Please consider making a tax-deductible donation to Wonderfest to help us promote the scientific outlook. Even a modest gift will make more events like this possible. Spring is no longer in the air, and the grass is worn down. But excitement is building as the boys of summer become the play-off boys of October — with the end of the Major League Baseball season. Please join two veteran physics teachers as they explain — and demonstrate — the physical nuances of the game: how a curve ball curves, why a 550-foot homer is so unlikely, how the half-millisecond collision of ball-on-bat is so beautifully complex. 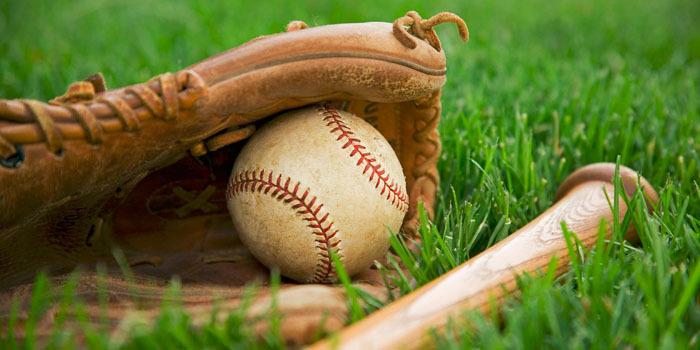 From aerodynamics to energy conservation, and from Magnus force to center of percussion, you be the umpire as simple physics illuminates our national pastime. HOW: FREE admission, but please register with Eventbrite. Co-produced with Ask a Scientist. When science fiction portrays the galaxy as an arena of interstellar commerce and, occasionally, of star wars, could it be accurate? We now know that billions of hospitable, Earth-like planets are sprinkled throughout our Milky Way Galaxy. 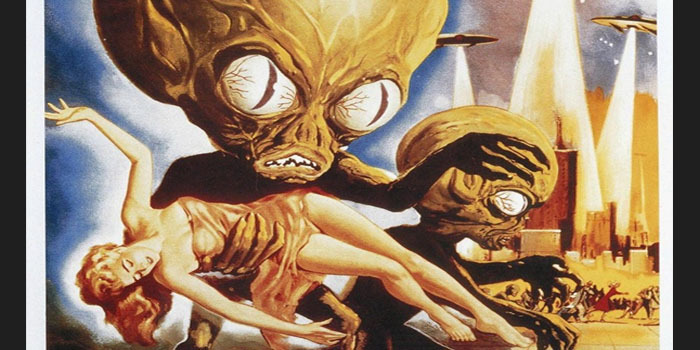 Yet billions of short-term searches for ET have turned up nothing. Where is everybody?! Premier planet hunter Geoff Marcy and expert alien detective Dan Werthimer will debate this most fascinating of scientific questions: Are We Alone in the Cosmos? After the debate, Paul Salazar, the Urban Astronomer, will be present a brief laser-guided tour of the night sky. HOW: Presented as part of the Bay Area Science Festival. ADMISSION: FREE! But please register with Eventbrite, below. What if our soundest, most reasonable judgments are beyond our control? Are the feelings of being rational and having free will generated by conscious decisions or involuntary brain mechanisms? Is there a way to resolve the conflict between our innate biology and our traditional beliefs? Dr. Robert A. Burton, author of A Skeptic’s Guide to the Mind, reveals what neuroscience can (and cannot) tell us about ourselves. 2. Add General Admission Member tickets into basket (2 tickets, max, per transaction). 3. Proceed to the Check Out page, and enter ticket & credit card information. 4. For the Member ID, enter WONDERFEST. 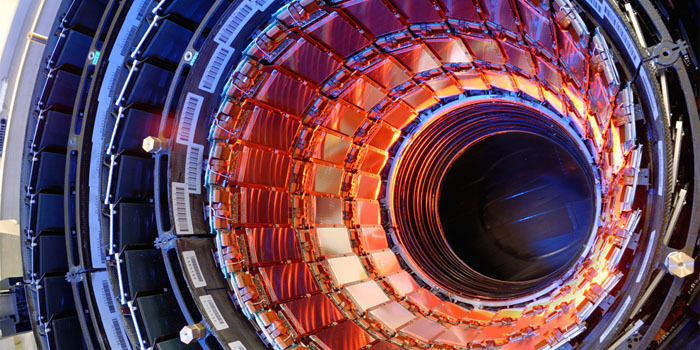 Particle Fever is the remarkably popular account of humankind’s deepest exploration into the structure of matter. 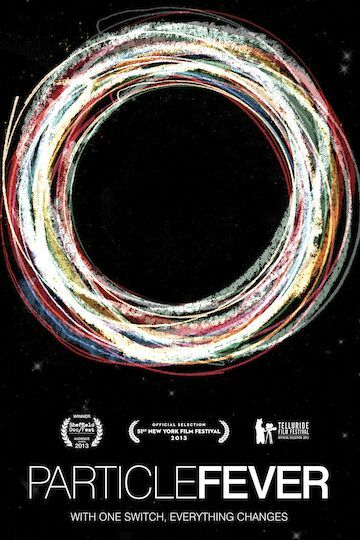 According to Kenneth Turan of the L.A. Times, Particle Fever is “so mind-bending you can almost feel your brain cells growing,” and it has earned a 95% “Fresh” rating at RottenTomatoes.com. 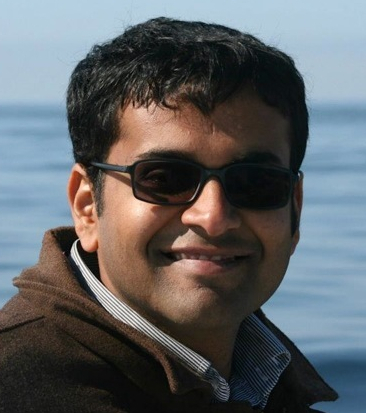 After the screening, UC Berkeley physicist Dr. Surjeet Rajendran will provide insights into the making of the movie AND into the making of … everything else in the universe! Whatever Happened to Homo erectus? Who’s your (ancient) daddy? Did he walk upright? Could he control fire? Did he have a brow ridge that wouldn’t quit?! Then maybe he was a Homo of the erectus — not so sapient — type. Many new Homo erectus specimens have been added to the global repository in the past decades, and many new interpretations have followed. It is more that most can easily digest. Come join professor Henry Gilbert, discoverer of the Daka Homo erectus cranium, to have the Pleistocene evidence of your ancestors’ evolutionary history explained. 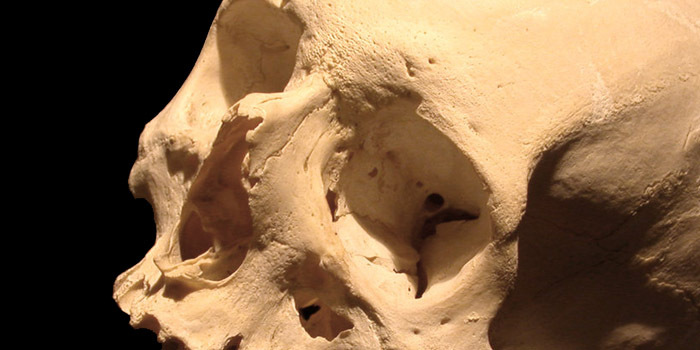 WHAT: Whatever Happened to Homo erectus? HOW: Produced in collaboration with Ask a Scientist. ADMISSION: FREE – Please register. Come laugh with Dr. 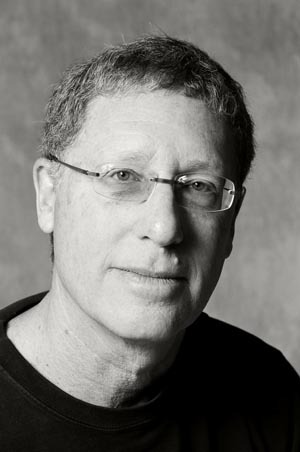 Norm Goldblatt, physicist and laser engineer. 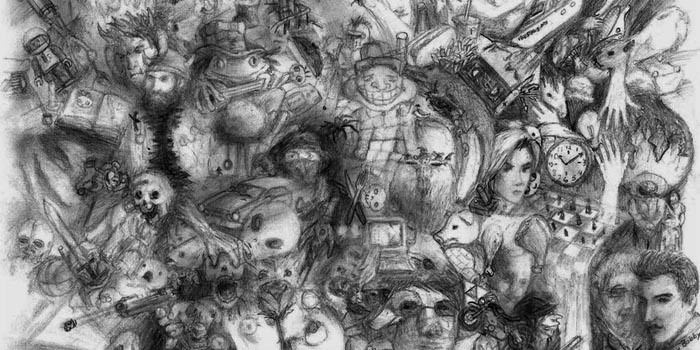 He’ll take you on a tour of his crazy world that unites left and right brain. Come one come all, young or old. NOT for geeks only. Everyone will enjoy thinking and giggling. Laugh AT him or WITH him; he doesn’t care. Norm divides his time between working with light and making light of his work. He has performed at all the local comedy clubs as well as conferences and corporate events. 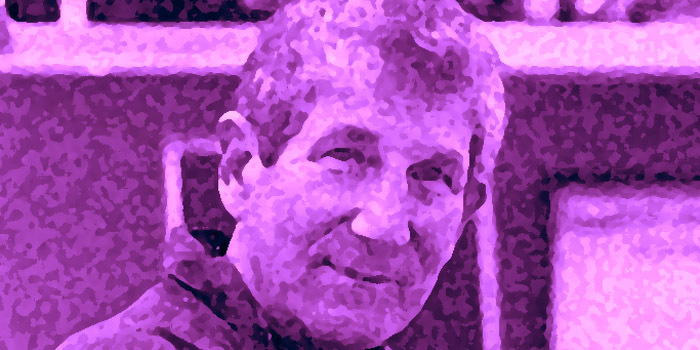 His quips have been published in the San Francisco Chronicle, both in the late great Herb Caen and Leah Garchik columns. His work has been published in prestigious journals such as the ever-popular Physics Today and the Journal of Irreproducible Results. He has appeared on Public Radio’s Science Friday as well as at Wonderfest and the US Science and Engineering Festival in Washington DC. Norm has written jokes for several comics, most notably Jay Leno. “Europa Report” is, scientifically and dramatically, one of the best science fiction films to come along in years. According to Popular Science, it “sets a new standard for realism in sci-fi.” At the same time, the critics at Rotten Tomatoes rate Europa Report as “80% Fresh.” (That’s high praise even for a Scorsese or Allen film!) The only way that Wonderfest and SF in SF can improve “Europa Report” is to follow it with the insights of legendary astrobiologist Dr. Chris McKay. 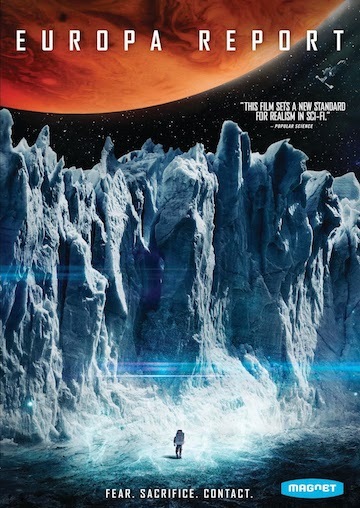 McKay will likely poke some intriguing holes in Europa Report. In doing so, he will vastly inflate our understanding of interplanetary travel AND of hypothetical life in Europa’s temperate ocean –– in orbit around mighty Jupiter. HOW: First, a special screening of 2013’s Europa Report, then discussion and Q&A with Dr. McKay. Produced in collaboration with SF in SF. Please consider making a donation to Wonderfest to help us promote science. Even a modest gift will make more events like this possible. 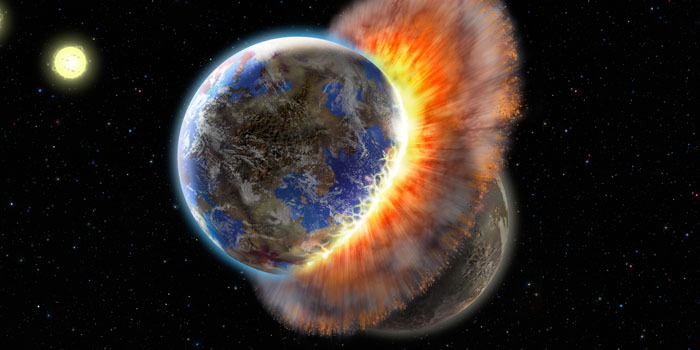 Planet Earth is constantly being struck by interplanetary debris: fine dust, rocks, boulders (big enough to outshine the Sun when they die), asteroids, comets, and even small stray planets. Some of these events offer glorious night-time views, others can cause planetary annihilation. 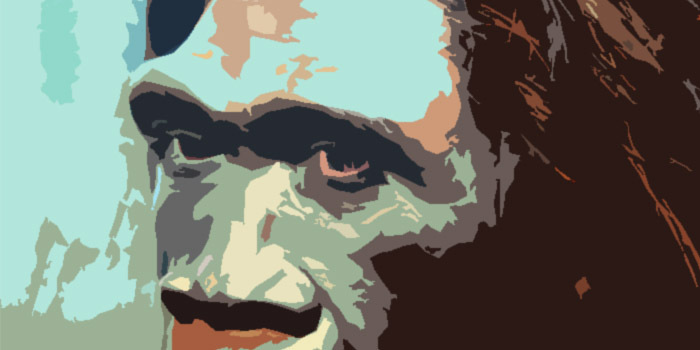 Please join Dr. Zahnle as he explores the glories and the threats … when worlds collide. Wonderfest and the Mt. Tamalpais Astronomy Program present Planetologist Kevin Zahnle from the NASA-Ames Research Center for a talk on Earth’s status as a “rock star” for powerful impacts from space. After Dr. Zahnle’s presentation, the San Francisco Amateur Astronomers (SFAA) will provide big telescopes for wonderful close-up views of the heavens. HOW: Presented in collaboration with the Mt. Tam Astronomy Program, SFAA, Friends of Mt. Tam, and California State Parks. Just in case, please wear warm clothes in layers, and call 415-455-5370 if the weather looks dodgy. Bring a flashlight, a seat cushion, and a heavenly amount of curiosity. The word placebo, from Latin “I shall please,” was defined in Quincy’s Lexicon-Medicum (1811) as “[any medicine] adapted more to please than to benefit the patient”. But as you probably know, pharmacologically inert “sugar pills” can do much more than just please — they can bring about very real physical benefits for patients suffering from a range of painful and debilitating conditions. This extraordinary phenomenon is both tangibly promising, in terms of disease management, and intellectually tantalizing. You gotta wonder: Are people really being cured? Do placebos work on children? How about people with cognitive impairments? Are hypnosis, acupuncture, and prayer related to the placebo effect? 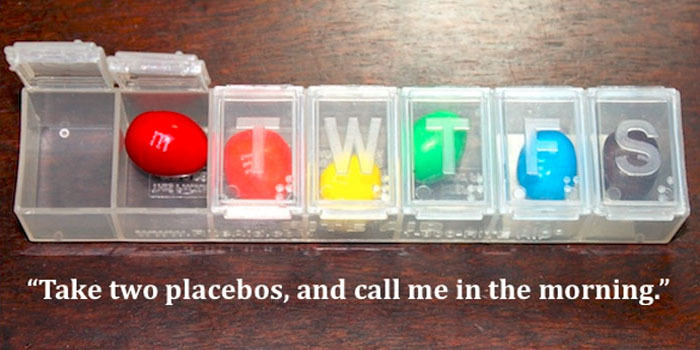 Are there certain conditions that are completely impervious to placebos? UCSF’s Dr. Howard Fields will answer our questions and share his expertise on the tremendously fascinating placebo (and nocebo) effect. HOW: Presented in collaboration with Ask a Scientist. Pain speaks as forcefully and as personally as any human experience. While the ability to experience pain is essential for survival, chronic pain is the scourge of sentient existence. As a topic of research, pain presents a formidable challenge for scientists. How does individual perception of pain vary? Why are some chronic pains so difficult to control? How effective are alternative and complementary methods, such as acupuncture and hypnosis, and how do they exert their pain-relieving effects? Pulitzer Prize-winning author Diamond examines the evolutionary history of humans and the unique traits that distinguish us from other animals. Diamond also explains why our innate tendencies toward invention and violence have led us to a crucial tipping point. Learn what Diamond has to say about the future of our species. HOW: In collaboration with the Commonwealth Club Silicon Valley. Enter WONDERFEST (case sensitive) in the promotional code box. Proceed to the Check Out page and enter ticket & credit card information. Steve Palumbi, one of today’s leading marine scientists, takes us to the absolute limits of the aquatic world—into the icy arctic, toward boiling hydrothermal vents, and into the deepest undersea trenches—to show how marine life thrives against the odds. 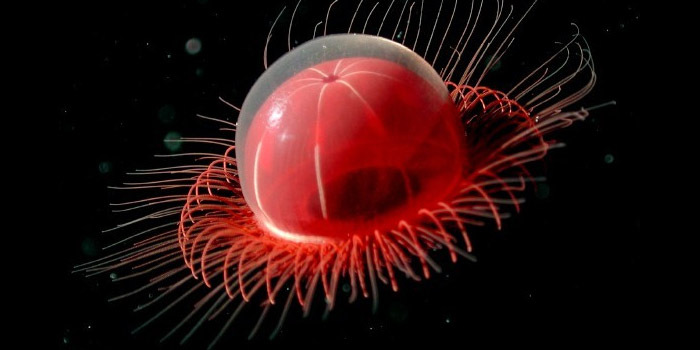 He helps us appreciate and understand the fastest and deepest, the hottest and oldest creatures of the oceans. But such fragile ecosystems face new challenges: climate change and overfishing could pose the greatest threats yet to our planet’s tenacious marine life. Prof. Palumbi shares unforgettable stories of some of the most marvelous life forms on Earth, and reveals surprising lessons of how we humans can learn to adapt to climate change. HOW: In collaboration with the Commonwealth Club Silicon Valley, use the case-sensitive promo code WONDERFEST to get a $5 reduction in “non-member” ticket price at <http://www.eventbrite.com/e/steve-palumbi-the-extreme-life-of-the-sea-tickets-9872400616>. Even better, if you’re a student with school ID, use the promo code OCEAN to make your ticket FREE! Our ancestors sprang from populations in sub-Saharan Africa that existed between about 100 and 250 thousand years ago. Rapid evolution transformed Homo erectus into Homo sapiens. Our technology exploded during this evolutionary transition, with several apparent African ‘firsts’ and subsequent spreads of technology into Eurasia. We became human in Africa, and the African ‘firsts’ don’t stop with the initial spread of some Homo sapiens into Eurasia. Dr. Yonatan Sahle, postdoctoral scholar at UC Berkeley’s Human Evolution Research Center, has recovered the earliest projectile points in the world. 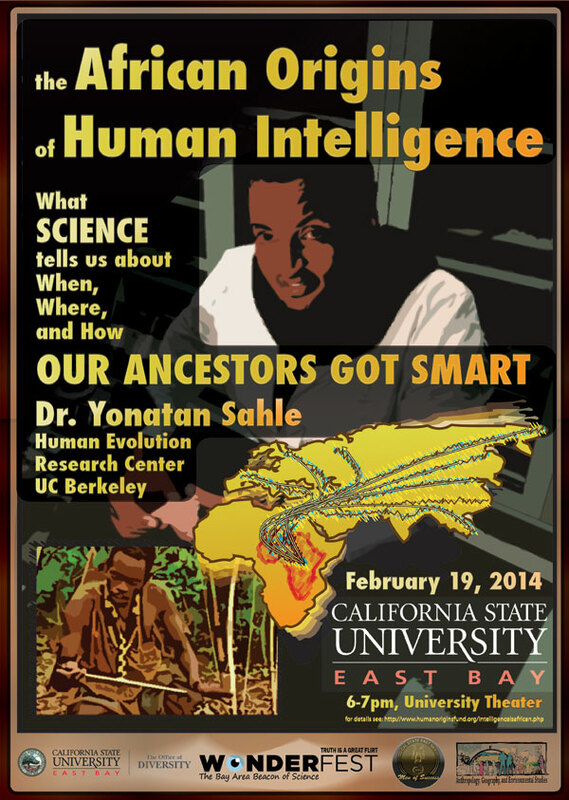 Come hear him explain what they tell us about our intellectual origins … and grapple with the challenges they pose to our understanding of human evolution. ADMISSION: FREE! But, registration is required due to limited capacity. TED-Ed’s How Fast Are You Moving? How Fast Are You Moving Right Now? A TED-Ed video by our own Tucker Hiatt, with more than 3/4 million views! Pain speaks as forcefully and as personally as any human experience. While the ability to experience pain is essential for survival, chronic pain is the scourge of sentient existence. As a topic of research, pain presents a formidable challenge for scientists. Why can it be so hard to control? Why does individual perception of pain vary? Come join the discussion as two outstanding neuroscientists reply both “yes” and “no” to our title question: Do we understand pain? TITLE: DO WE UNDERSTAND PAIN? Co-presented with Ask a Scientist. HOW: Embarcadero 4 is served well by public transit. Also, its underground garage (at the end of Clay Street, across Drumm) charges just $2.00 for 0-4 hours (with $10+ purchase). ADMISSION: FREE! But attendance is limited to the first 100 to register. See below.